As Disney stage musicals go, the North American tour of Aladdin that just opened at the Hollywood Pantages Theatre is the big, splashy colorful delight kids and musical theatre lovers want to see. Dressed in a dizzying array of dazzle and glitz, it offers a top-of-the-line audience experience for fans of the beloved and well-known tale anxious to be whisked away to a dreamy world where the underdog gets the girl, the villain loses, and the comic relief holds court every time he steps on stage. Few can resist the charms of Disney’s 1992 animated film that preceded it, based on One Thousand and One Nights. 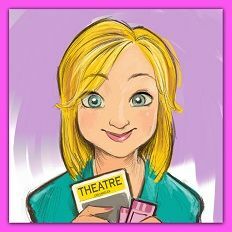 Its songs by Alan Menken, the late Howard Ashman, and Tim Rice, have become part of the enduring Disney/pop lexicon and, along with The Little Mermaid and Beauty and the Beast, it paved the way for a smarter, more independent kind of Disney princess. In order to adapt Aladdin for the stage, a number of deviations from the movie plot had to be made, mainly to simplify the action. Gone is the first scene where Jafar tries to retrieve the lamp using a thief named Gazeem, as well as his attempt to drown Aladdin, and later banish him. Jafar doesn’t trap Jasmine and the others in an hourglass and he doesn’t turn into a giant cobra to fight Aladdin. These are all smart changes we don’t miss, but there are others we do. 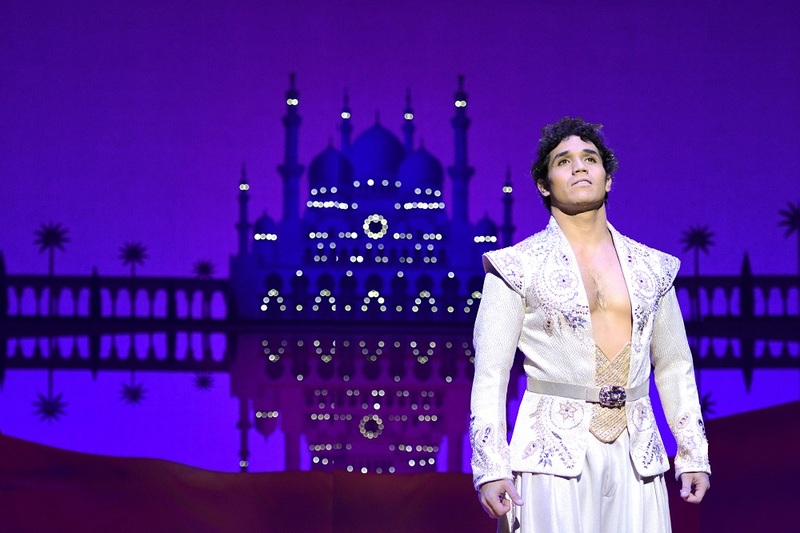 Eliminating the animals – Aladdin’s pet monkey Abu, Jasmine’s tiger Rajah, and Jafar’s parrot Iago – and replacing them with human characters is a necessary logistical move but the results are mixed. 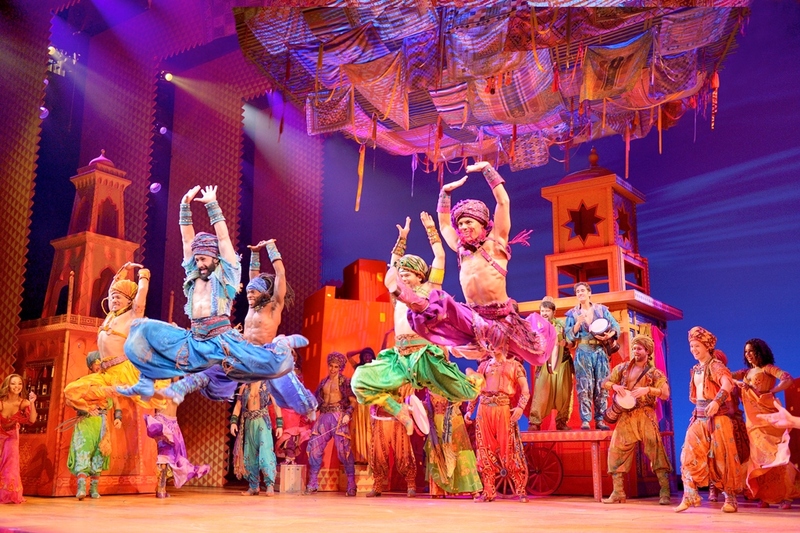 In place of Abu, Aladdin gets three bubble-headed but energetic fellow thieves: Kassim (Mike Longo) the virile, not-so-smart one; Omar (Philippe Arroyo) the nervous effeminate one; and Babcock (Zach Bencal) the heavier, food-obsessed one. They add humor and sing well, particularly in their featured number “High Adventure” but they’re still all stereotypes. Rajah is replaced by a trio of nameless female attendants (Mary Antonini, Olivia Donalson, Annie Wallace) who are lovely but powerless, unlike the tiger. And in place of the greedy parrot Iago, we now have an annoying lackey (Reggie De Leon) who is such a cartoon it makes you wince. Happily, the trio of leading actors shines brightly. 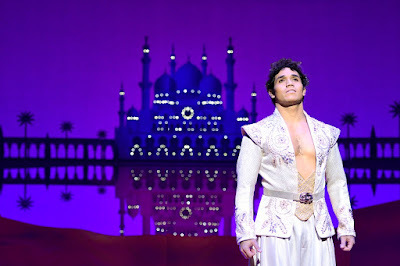 Adam Jacobs, who originated the title role on Broadway, easily wins over the audience with his insouciant charm, dashing good looks, and winning vocals. Expanding the story from the film’s 90 minutes to 2½ hours for the stage meant three of the songs Ashman originally wrote with Menken (cut from the film after he died) were restored. One of those is Aladdin’s heartfelt I Want song “Proud of Your Boy” which explains why he wants to make something more of himself, and it’s a gem. As Princess Jasmine, Isabelle McCalla favors the character’s strong, no-nonsense, independent streak rather than playing the more obvious romantic yearnings of an inexperienced young woman. In doing so, the romance that eventually blossoms between she and Aladdin feels earned and not simply a foregone conclusion. 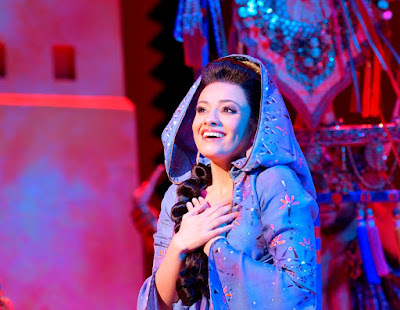 As written, Jasmine and Aladdin could do with some fleshing out but McCalla and Jacobs add so much life to their roles, that you can’t help but fall in love with them. Michael James Scott originated the role of Genie in Australia and he is the joyful one-man-show the audience can’t get enough of. It’s true that all roads lead to Rome and, while the musical starts out with some pretty snazzy numbers in Act I, it’s all leading up to Scott’s magnificent “Friend Like Me” at the end of the act. Another of the songs featuring lyrics by Ashman, this one is built to be a showstopper and stop the show it does. Offering up verse after verse of fabulous (and hilarious) reasons why Aladdin has just won the genie lottery, Scott lets loose with an endless stream of pop culture, musical theatre, and Disney references, attacking the number with gusto. The setting has just as much to do with the wow factor of the song as the music and choreography, and Bob Crowley’s cave interior is a floor-to-ceiling sparkling surprise with more than a few fun reveals. Up until this point, the scenic design has been more compact but both this and his later rendering of Jasmine’s bedroom window and magic carpet ride through a spellbinding night sky are glorious. 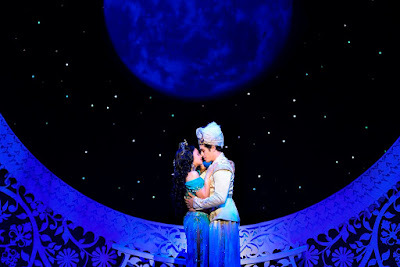 Aided by Natasha Katz’s gasp-inducing stars and Jim Steinmeyer’s flying carpet illusion, it satisfies every possible romantic notion as Aladdin and Jasmine sing “A Whole New World” and we finally see them fall in love. 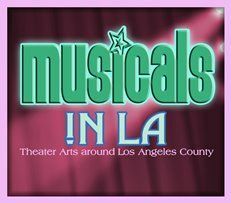 This is a musical the whole family can enjoy and director/choreographer Casey Nicholaw knows it and owns it. 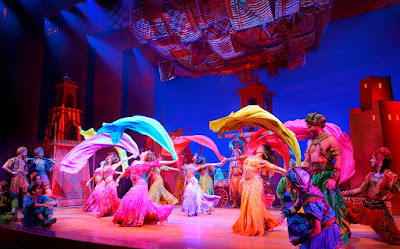 The pacing is tight, musicianship impeccable (under the baton of musical director Brent-Alan Huffman), and dance numbers athletically executed by an unusually handsome ensemble of dancers flashing swords, tossing silks, and investing themselves one hundred per cent in creating the fairy tale world of Agrabah. 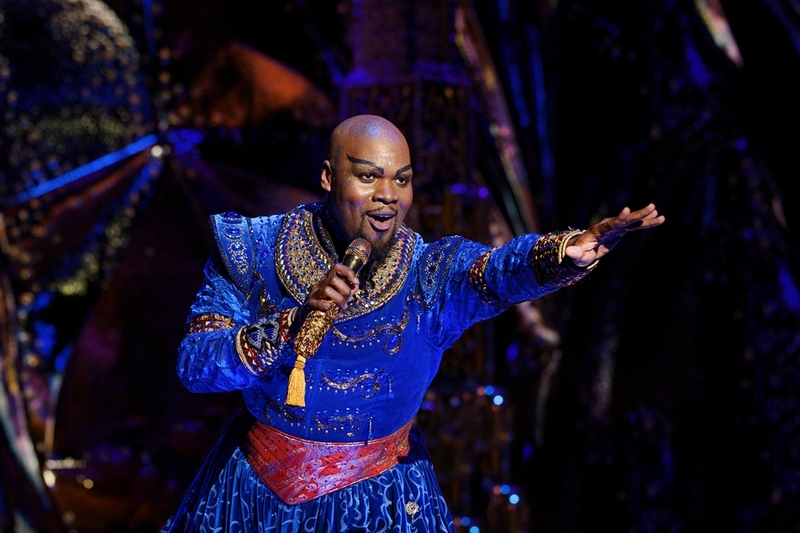 Disney has pulled out all the stops for this gorgeous musical. Go for the magic and you won’t be disappointed.